Do you remember the first time you met your current partner? The first date?, what about the first kiss? How many years have passed since then? We hope you are one of those solid couples that have resisted the taught moments through the years and still preserve the love like the first day. Time flies, so in Photo Tour Seville we think we must immortalize our moments because we do not know what will happen tomorrow. Are you with us? 😉 Show your partner how special she/he is for you and book a Photo Tour in order to have unforgettable memories of your relationship. Celebrate your golden/silver anniversary in Seville with the love of your live and enjoy at home a wonderful album over and over again! So you have decided to propose marriage to your couple.., well done! We love brave people who want to show her/his love for his/her beloved in public. 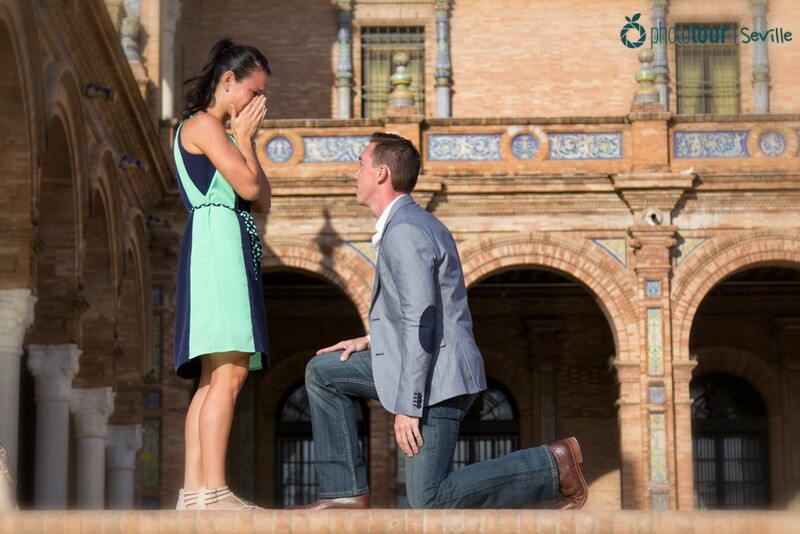 Seville is the ideal city to do a marriage proposal as it has loads of romantic and intimate spots. 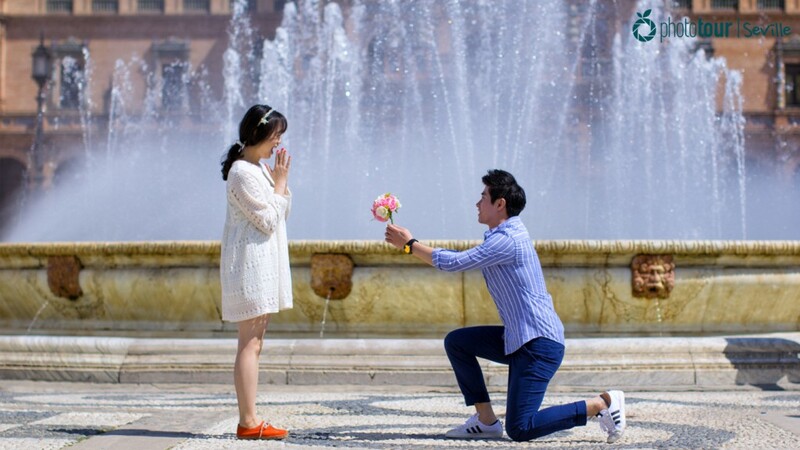 You could choose among many spots hidden at Barrio Santa Cruz, Plaza España or Maria Luisa Park among others to surprise your partner and make her/his dream come true. Besides, it´s spring time! Which means is the perfect weather to walk around the city and enjoy with your partner. Many of our clients have made marriage proposals in front of the camera with excellent results. Try yours and immortalize your love forever! You might be thinking about telling your partner how important is she/he for you but do not know how to do it. Well.., do not worry! In Photo Tour Seville we have many ideas to make your declaration of love easier and, most important thing, unforgettable!. Whether you plan to do some activity or just declare your love in a special place we have many suggestions for you. 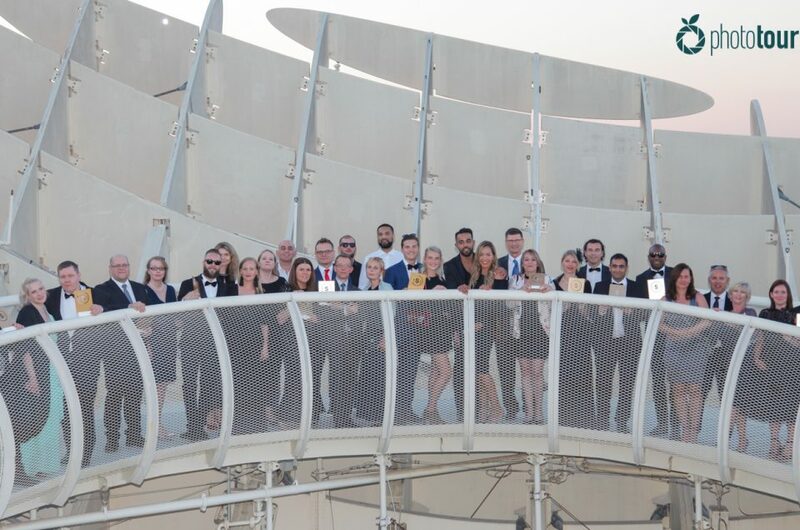 Among them are to do a declaration of love in the terrace of Palacio Alcazar hotel which its stunning views of the city that will amaze you. Take advantage and book your photographer in order to capture such a special moment, you will not regret! 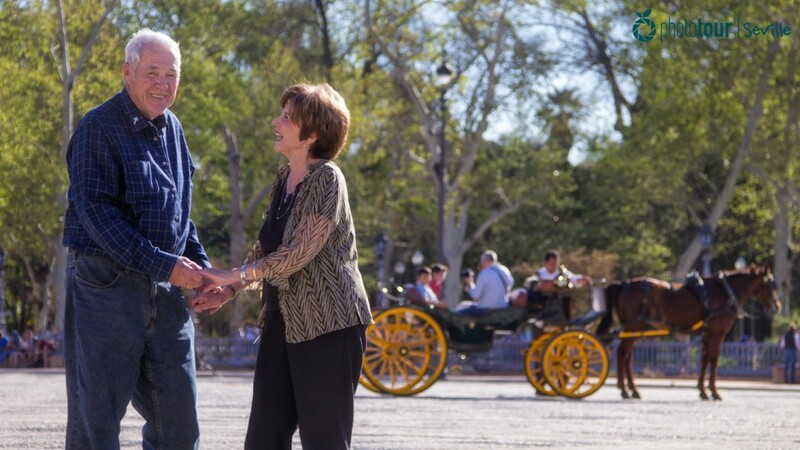 There are many excuses to book a photographer in Seville. Among them are, without a doubt, a bachelorette party!. This is a celebration where all the close friends get together in order to say goodbye to the singleness of the fiancée. Ask your photographer about the best activities to do and most chick places to party in Seville. Make your bachelorette party unique and capture the best moments with your friends! Celebrating a Honeymoon is another good excuse to book a photographer in Seville, why? Because it will be an unrepeatable moment that you will live with the love of your life. 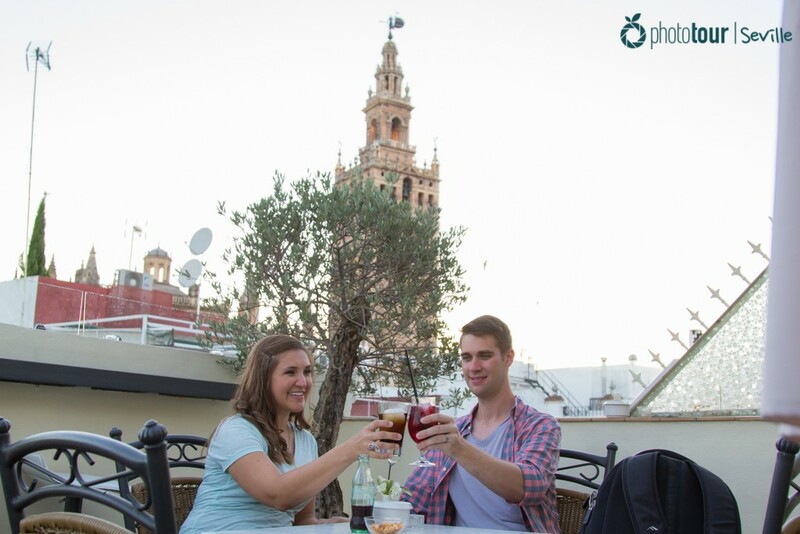 You have to plan carefully all the activities that you want to do in Seville. Now in spring time is a good time to take advantage and try some summer activities as a boat ride through Guadalquivir river and a picnic in the parks of the city. And at night time take your partner to a romantic restaurant and make her feel special. Does not matter your excuse, whether you are celebrating a honeymoon, bachelorette party or marriage proposal you always need to immortalize it! In Photo Tour Seville we love to capture special moments. 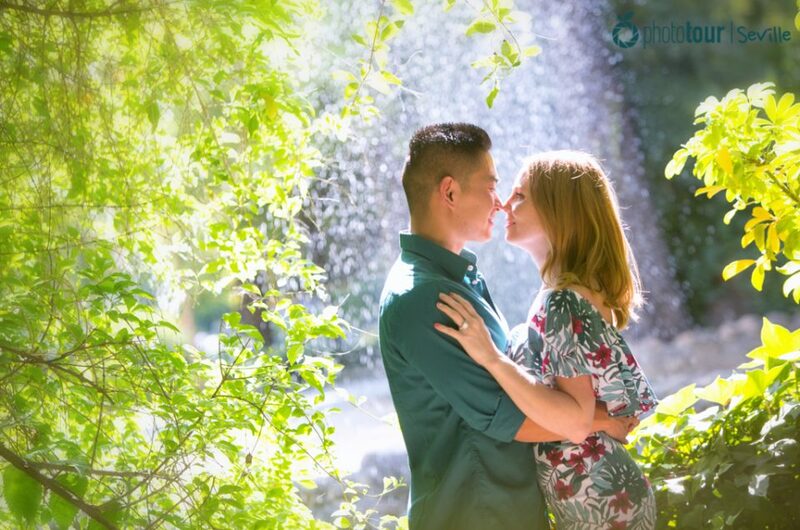 Our professional photographers are experienced in taking intimate photos of couples who love to share their feelings. Cheer up and book your photographer! Save your experience forever!